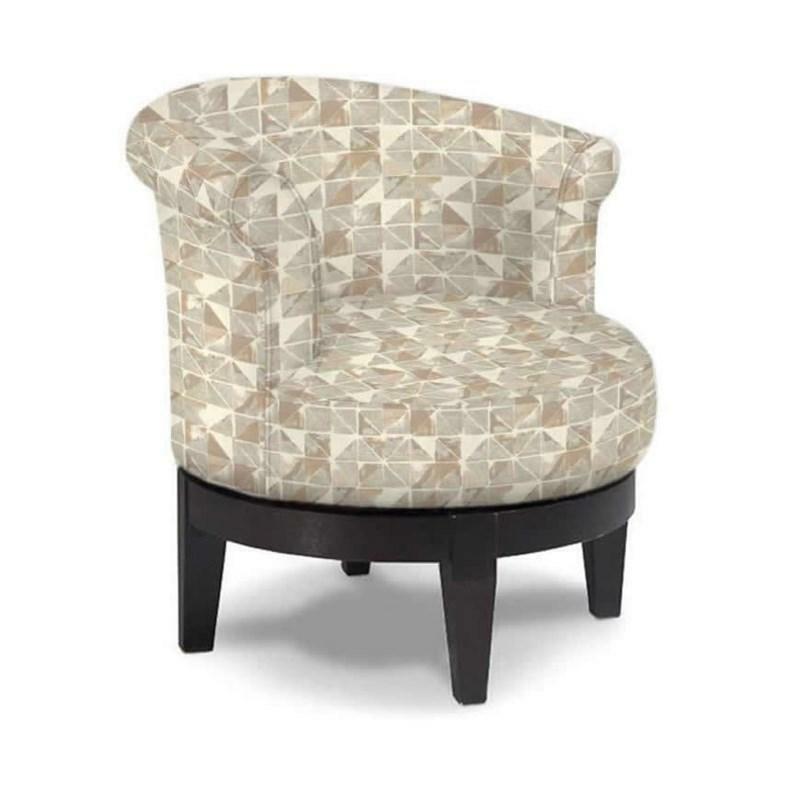 Add a little pizzazz to your sitting room, bedroom, corner dining room, or any room with the Attica 360-degree swivel chair! The one-piece arm-and-back combination has a subtle flare outward at the top to give it a touch of sophistication, and in keeping with the gentle curves of the chair. The plush, circular cushions don’t sacrifice comfort for style and come in almond fabric color. The base and legs of the chair are finished in a deep Espresso that lend to the delicate refinement of this chair.